The origin of the modern sauna is traced to Finland and other Nordic countries, where time spent in a sweat bath used to be a private time for relaxation and cleansing. It was generally a part of a daily or weekly routine. In many other parts, sauna culture evolved in a more public setting, and people flocked to these facilities in large numbers. Many Middle Eastern and Asian cultures have had their own sweat bath rituals, as did the Native American Indians. This clearly shows that hothouses were not merely a means of escaping the cold of the Northern regions or an occasion for socialization. People had recognized the health benefits of sweating, probably from their positive experiences with natural hot springs. There are different types of saunas based on the heating mechanism, but the basic purpose remains the same: provide a very warm atmosphere that induces copious sweating. Let’s see how spending time in the sauna benefits us. The blood pumped by the heart should reach every part of the body to supply oxygen and nutrients to the tissues. The metabolic processes taking place in the tissues produce carbon dioxide and other waste products. They are transferred to the blood to be carried back to the lungs, liver, and the kidneys to be purified before the heart pumps it out again. Most of these exchanges take place in minute capillaries. Capillary circulation can be impeded by many conditions such as narrowing of the capillaries and weak pumping of the heart. This results in the accumulation of waste and excess fluid in the tissues, causing inflammation and edema, especially in the extremities. Higher temperatures raise the heart rate and also dilates the blood vessels. This improves the circulation of blood in the capillaries and helps remove waste products more efficiently. As we have seen above, improving circulation is one way to remove toxic waste products from tissues. Blood carries them to different organs to be processed and eliminated. Carbon dioxide gets removed in the lungs, some toxic metabolic products are turned into non-toxic derivatives in the liver, and others are converted to water soluble forms. The kidneys do their part by flushing them out of the body through urine. There’s another direct way in which detoxification takes place. External heat triggers sweat production, and in the half hour spent in the sauna, one could generate as much as half quart sweat. Many toxins from the body are removed through this sweat, especially those accumulated in the skin. The amount of waste removed this way may be only a fraction of what kidneys remove, but regular sauna baths can contribute to overall detoxification. Spending 30 minutes in the sauna can easily get rid of a pound in water weight. But this is a temporary effect because the weight comes right back on when you rehydrate with liquids afterwards which is extremely important. The real weight loss effect comes from the increased metabolic rate that the effect of intense heat produces. It has an exercise-like effect on the heart and the blood vessels. The increase in heart rate translates to additional energy expenditure, so do improved blood circulation and sweat production. Anyone who has done a steam facial can vouch for the deep cleansing effect of this procedure. Saunas are a larger version of this, resulting in the cleansing of not only the face but the whole body. Even in a dry sauna, the heat causes the sweat glands to produce large amounts of sweat. It softens and lifts out the dead skin cells and the dirt and debris clogging the skin pores, including the hair follicles. Accumulation of these materials in the hair follicles blocks the outlets of sebum, resulting in blackheads, whiteheads, and acne. Dirt and grime trapped in there also encourage bacterial growth, which further complicates these conditions and sometimes causes painful boils. Keratosis pilaris that appear as tiny bumps on the skin is another condition where hair gets trapped in their follicles. Regular time spent in a sauna can remedy all these conditions. Thanks to the pressures of our fast-paced life, stress has become a constant like never before. Stress triggers the production of hormones like adrenaline and cortisol, which are a part of the defense mechanism of the body in the face of real dangers. They increase heart rate, blood pressure, and blood sugar in the anticipation of having to fight or flee. 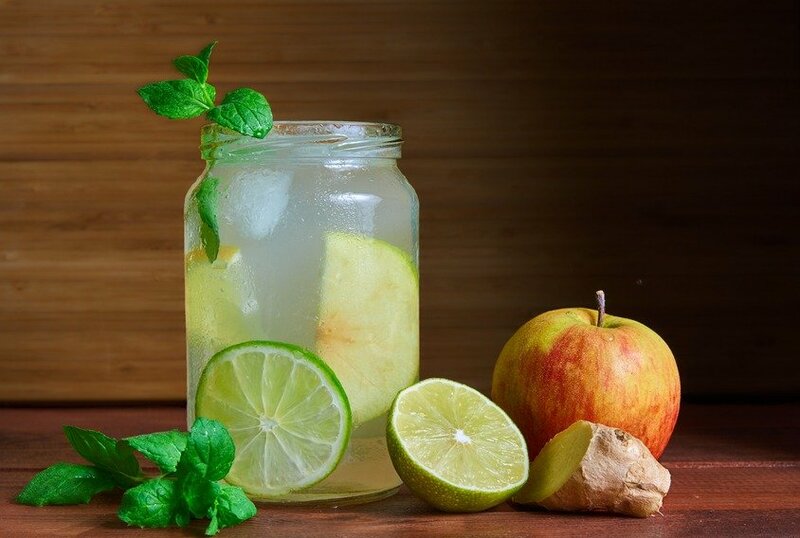 At the same time, they temporarily suppress many non-vital processes such as the normal functioning of the digestive system and immune system. These changes are actually meant to be short term, and the body is expected to return to normal when the dangers pass. But when chronic stress is present, this never happens. Constantly elevated levels of stress hormones and its effects on the body systems result in many physical and mental issues. It may cause heart disease, digestive problems, weight gain, memory impairment, and depression. The deeply relaxing atmosphere of the sauna and its effects on the body and mind results in the secretion of another set of hormones that counteract the stress response. 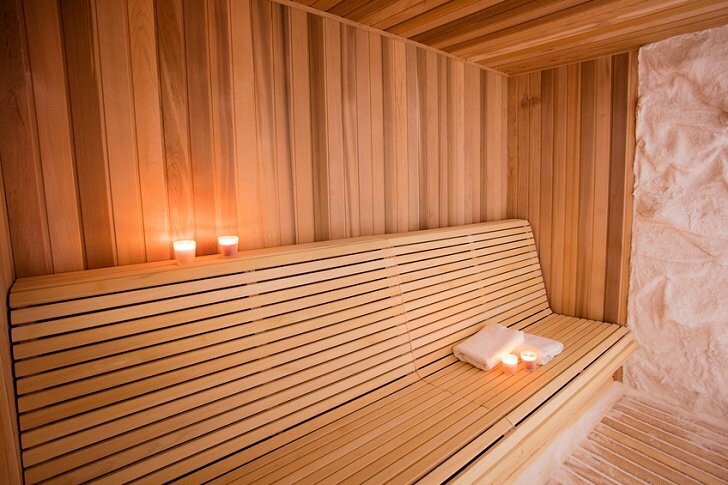 A major part of the health benefits of a sauna can be attributed to this. Moreover, the beta-endorphins released during sauna sessions give you the same pleasurable feeling that intense exercise does. Overexertion can cause muscle fatigue and injuries, a common occurrence in athletes and bodybuilders, and in anybody engaged in physically demanding occupations. A sauna session after a rigorous workout is very helpful in reducing muscle soreness. It speeds up recovery and healing too. It is not just hard physical work or rigorous workouts that put a strain on the muscles. Stress and anxiety can cause persistent tension on the muscles and cause severe fatigue. The heat in the sauna acts like a deep body massage by increasing circulation to the muscle tissue. It helps the muscles to relax and recover. People with inflammation and pain in their joints get tremendous relief from sauna sessions. After all, applying wet or dry heat to areas of joint pain is a common practice. Increased circulation to the affected area helps reduce inflammation, which, in turn, brings down pain. You can try out different types of saunas to find out what works best for you. Some people find infrared saunas providing uniform deep heat most beneficial for pain relief. Sometimes, what appears to be joint pain, especially in the lower back, hips, and shoulders, can be caused by muscle tension and strains. The relaxing effect saunas have on the muscles may remedy the situation for good. Anyone who has been to a sauna would have experienced deep, relaxing sleep afterwards. It is not surprising since most people find a warm bath before bed beneficial for good sleep. A sauna amplifies this effect by exposing the body to high temperatures. The drastic increase in metabolism is followed by a period of cooling that naturally induces sleep and rest. When you sit in the heated sauna room, your heart beats faster, pumping the blood with extra force. The blood vessels expand in response, increasing blood circulation. It is similar to the effect exercise has on the cardiovascular system. 30 minutes in a sauna is equivalent to an intense aerobic exercise session of the same duration. But, unlike exercise that stresses the joints and put you at the risk of injuries, sauna heat has a soothing and healing effect. Loss of arterial elasticity is a major cause of hypertension and heart disease. Regular sauna sessions and the accompanied dilatation of the blood vessels may help them maintain their elasticity. This, in turn, may help lower blood pressure and heart disease risk. The shared space in saunas can potentially spread seasonal infections like cold and flu, but people who frequently use saunas experience fewer episodes and milder symptoms. We know stress hormones suppress the immune system, but stress busting sauna sessions probably counteract it. Apart from that, research has shown that spending time in the heated atmosphere can actually increase the production of white blood cells ( WBCs). WBCs are the main agents of defense against pathogens; they fight them off by producing antibodies or simply swallowing them up. In a study investigating Finnish sauna’s effect on the immune system, a single sauna session of 15 minutes was found to increase different types of WBCs such as lymphocytes, basophils, and neutrophils. This may explain why people who regularly use saunas have better immune function. According to a long-term study involving 2,300 Finnish sauna users, time spent in a sauna was found to lower the risk of cardiovascular disease by 50% and mortality from cardiac events by 65%. A reduction in overall death rate was also observed. On average, those who used sauna every day or every other day lived longer than those who had only a weekly session. These findings are not surprising when you consider how sauna relieves stress, improves cardiovascular health, and builds up immunity. Whether you like to work out or not, a daily session of sauna for 15- 30 minutes can probably improve your overall health better than anything else you can accomplish in the same amount of time.